Beijing: China on Friday said the issue of terrorism will be "candidly" discussed during the two-day BRICS Foreign Ministers Meet beginning here on Sunday. Beijing also said the member countries are expected not to have differences on the issue in the meeting. "We oppose any double standards adopted by the countries in counter-terrorism efforts. 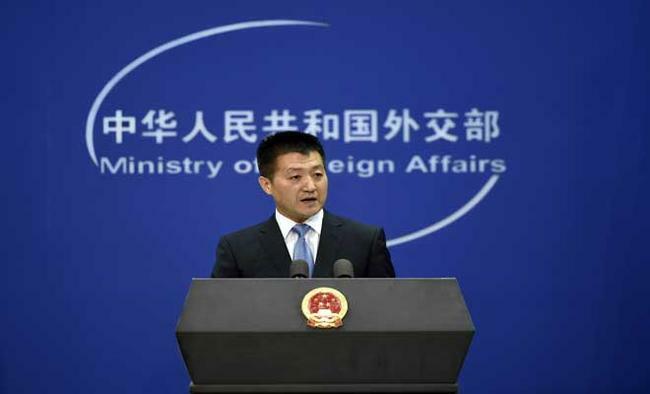 The BRICS foreign ministers will conduct a candid exchange of views on this issue," Chinese Foreign Ministry spokesperson Lu Kang said. "On the counter-terrorism we have a clear-cut position that terrorism is the common enemy of mankind," he added. "The five countries are not expected to have any essential divergences and differences on this issue because the counter-terrorism efforts call on the international community to form consensus and forge joint forces in this regard." India's ruling Bharatiya Janata Party's General Secretary Ram Madhav said last week it was time to end double standards in combating terrorism and BRICS member states must unite for the cause. Minister of State for External Affairs V.K. Singh will represent India at the Foreign Ministers meet of Brazil, Russia, India, China and South Africa bloc. India is likely to raise the issue of China blocking the ban on Pakistani militant Masood Azhar at the UN. Azhar, the head of Jaish-e-Mohammed terror group, is wanted in India for the January 2016 Pathankot terror attack. Besides, China has blocked India's bid to enter the Nuclear Supplier Group(NSG). "On the issue of NSG I can tell you China's stance on the accession of new members in NSG has not changed," Lu said. The factor of Pakistan, China's "all-weather ally", comes into play in both the issues. China argues if India can be let in the NSG without being a signatory to the Nuclear Non-Proliferation Treaty, why not Pakistan. On the issue of Azhar, China says evidence against the terrorist is not enough. At last year's BRICS summit in India, China was non-committal on including the names of terror groups like JeM and LeT in the BRICS' Goa Declaration.